Ok, so this time I will share my feelings to you all towards this boy band. Actually I was not one of his VIPs (name of their fans), I was mesmerized by boy bands and girl bands from SM Entertainment back then, such as Super Junior, SNSD, SHiNee, Exo and many more. All I know that I liked all members. Well, It is not that I don't know Big Bang at all. I heard them since Baby Baby which has attractive music video. 'I like their music' was only words from me to them. However, it was all change when they released their new album : MADE, and I tell you 3 things why this boy band can be called as the best boy band eveeer. First, they are all professionals. They are 5 members; G-Dragon, Taeyang, Seungri, Daesung and TOP and they do not come to variety shows really often. I do not say that variety shows are bad for celebrities. I like watching variety shows. However, it seems that it is a big huge if variety shows can invite all of them as a package, Big Bang. Still, if you like watching variety shows that has them in it, you can see the huge different of each members on the stage and in variety shows. My friends in the office, who is totally do not like Kpop, are VIP (by the way they are all men), they are also wondering why their attitudes on stage are waaaaay different when they are in variety shows. For example, the leader of the band: G-Dragon is very charismatic on the stage by his icon as fashionista, swagger and bad boy. However, when he appears in variety shows, he has that shy personality and cute smile on his face. 100 percent different. That is why I call them professionals, because they can be whatever their songs require which are totally different from they really are. Second, they produce their own songs. Many singers or bands sing the songs that are not actually from them. Moreover, they have someone who has a responsibility to make songs for them. It is not actually wrong, but it is more amazing if the singers can make their own songs. 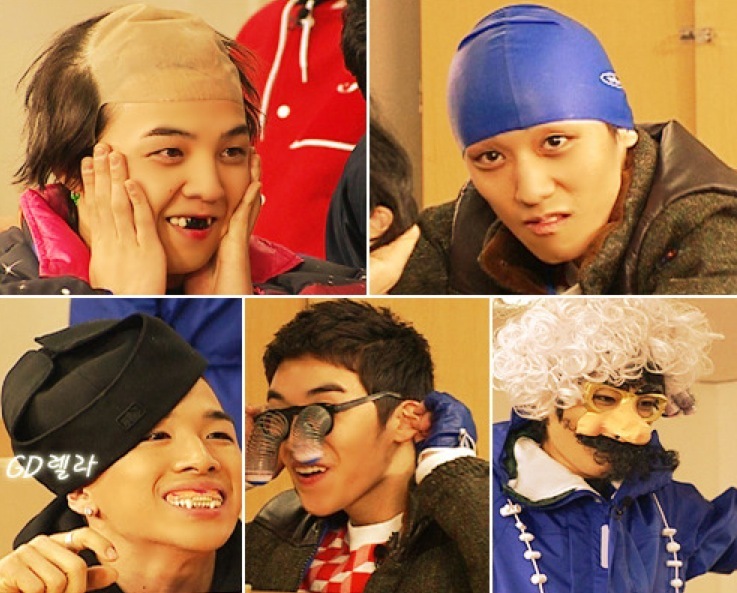 Big Bang is one of the boy bands who make their own songs. I am fascinating by the way they write the lyrics and compose the music until the songs become hits over the world. When I was mesmerized so much by SM group bands, I put Big Bang songs that are most popular in my playlist, such as Tonight, Blue, and Fantastic Baby, but I never watched their videos. I even did not recognize the members. All I know that the songs are good and it is from South Korea boy band named Big Bang. Moreover, if you watch Infinity Challenge episode 435 - 442, you will be amazed by their perfectionist and skills in making music. Third, Big Bang is the first boy band from South Korea that has a concert world tour. I did not go to their concerts, well I have more important things to spend my money for. However, I watched their documentary movie. I can see that they work really hard to be in their position today. There are clash, laughter, sadness that are show in the movie. Moreover, the spirit and the energy from all VIP around the world are amazing. Not a surprise if Big Bang can be very successful. 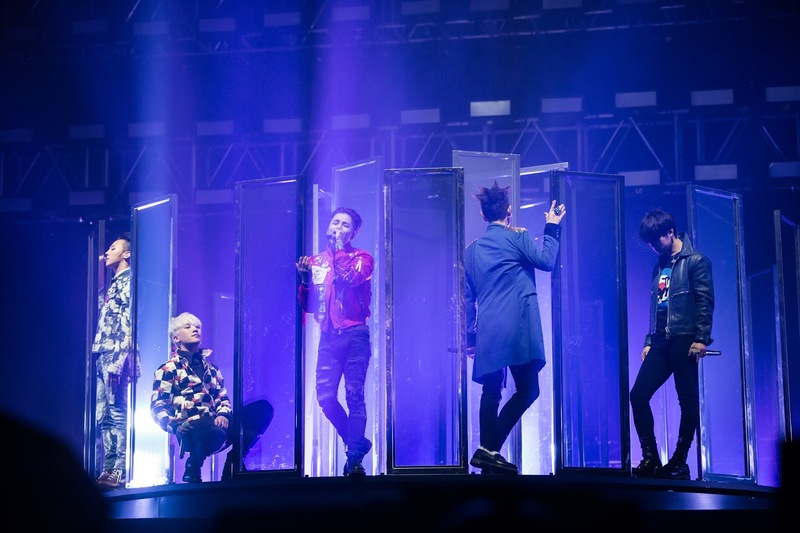 Even that I did not go to their concerts, I can feel the tension and joy at the same time because of the collaboration between Big Bang and VIP. It is not that I compare between Big Bang and other group in SM Entertainment. Do not misunderstand okey ;). I just want to share my thoughts about Big Bang, because right now I listen to their songs like every time and every day. 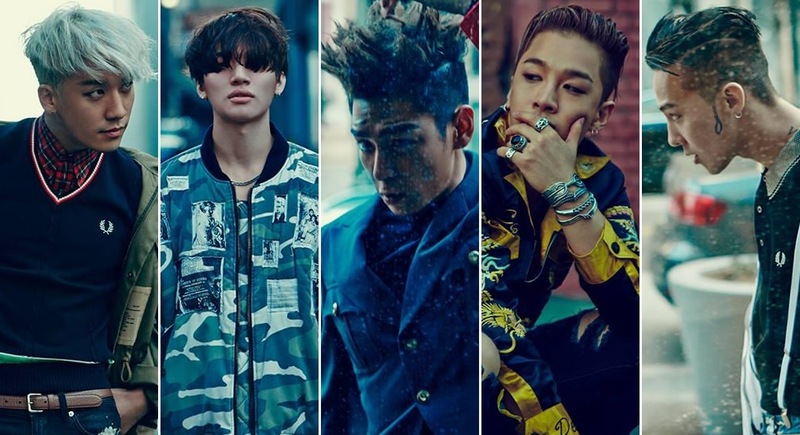 If you do not know Big Bang at all, try to listen one of their hits song. 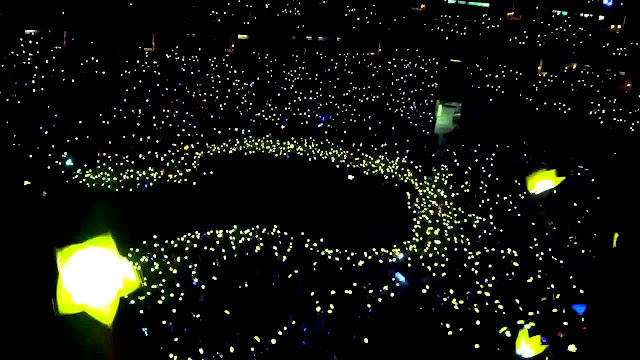 You will like their songs, and probably you will like the members, and you will be one of the VIP. Who knows?